If you’re a journalist looking for information on London’s oldest family brewer, the Fuller’s media and PR team is where your story starts. It’s a small but perfectly formed team of three led by Georgina Wald, our corporate communications manager. George and the team take care of all internal and external communications at Fuller’s, liaising with key stakeholders including the media, customers, local residents and shareholders. 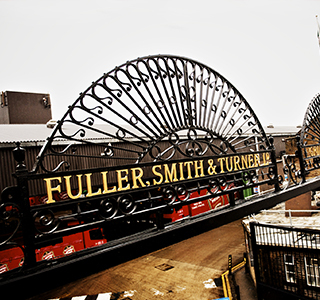 It’s the media and PR team that keeps Fuller’s in the spotlight – responding quickly and efficiently to a wide range of UK and international media enquiries. For urgent press enquiries only, there is an out-of-hours contact available too. If you are a student looking for information for a project, please be aware that, due to the size of the media team, we can’t handle any individual enquiries. You will, however, find some handy information in our Annual Report. Similarly, the team is unable to comply with all the charitable request and sponsorship enquiries we receive – but we do aim to support as many local events and charities as possible.